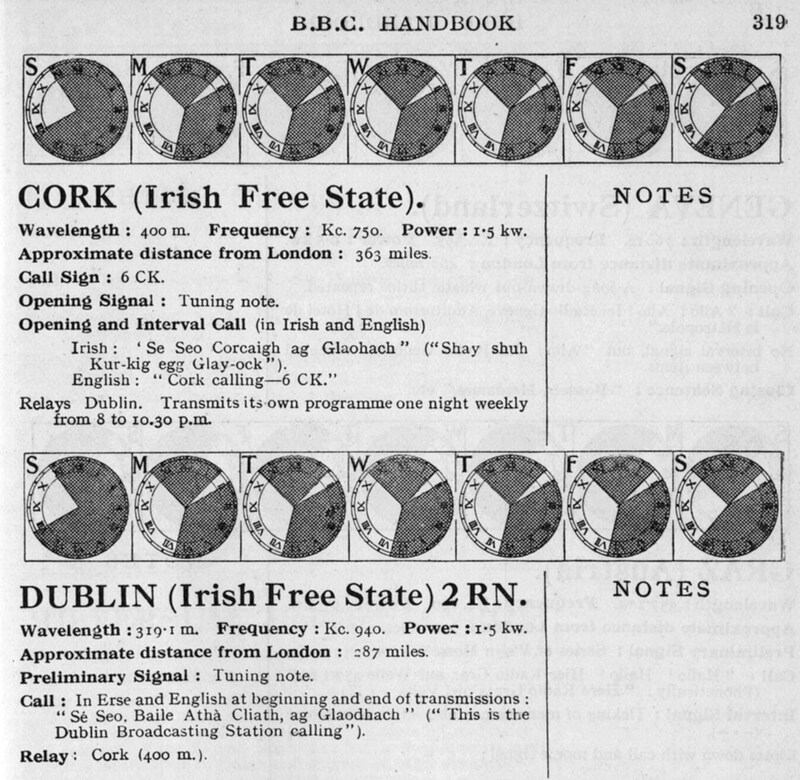 The first edition of the BBC Handbook, published in 1928, included details of frequencies and schedules of foreign stations audible in the U.K. during the previous year. Below is an extract which may be of interest to Irish Free radio supporters, as it shows early stations in the Republic. Note the limited operating hours on the 12 hour clocks (on-air times in white), as in the early days of wireless, stations normally only broadcast for a few hours in the evening. It is not certain whether these two stations were commercial or not, nor if they were early RTE transmitters, although RTE's web site states that they began a radio service in 1926. It was certainly before the days of the now famous 'Athlone' transmitter.